A wall, a bothy and open. Just prepping for #OER17 and a wall is an odd image to use to represent open, but this is a special wall. We were guardians of this wall once. Our house was behind it. It was the Victorian kitchen garden designed by Thomas Mawson at Kearsney Court. 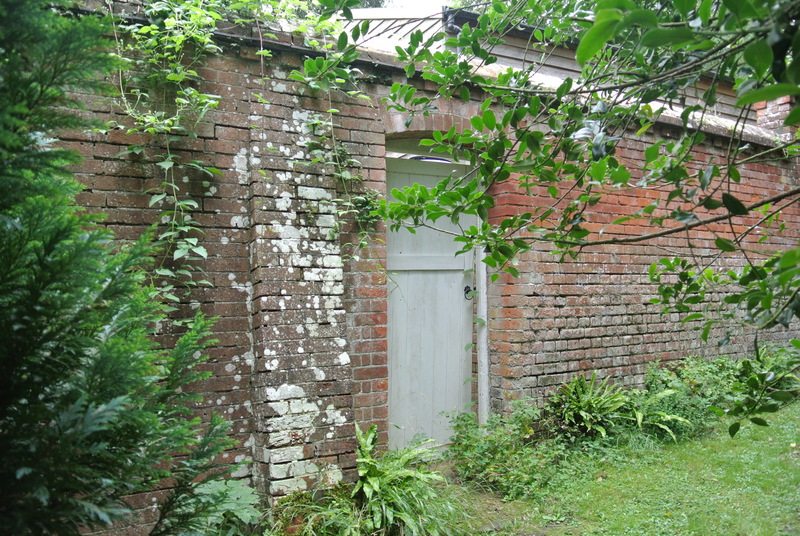 This was the side door from the kitchen garden into the main park. We never locked it. And it was wonderful on occasions when inquisitive people from the park would just open it and walk into our garden. Walls can be open too. (A Midsummer Night’s Dream, William Shakespeare). What I like about these memories is that we were guardians of these walls, and the amazing conservatories, terraces, ponds, steps and pathways within it. We never own houses do we – they seem to own us for that short period of time. I feel the same about our education system – those of us that work there are passing through it at this moment in time, and I can’t help but feel we aren’t providing the nurturing and attention it needs. In the 1987 hurricane, when the insurance company came around to inspect the damage to the roads and driveway caused by innumerable trees having been blown down, I remember the man’s face froze in horror when he saw the wall. He said that it would bankrupt the company if it was damaged. It was a miracle that although trees were blown down on all four sides, the walls were untouched. One memorable Saturday night after I had left home, the family were having a bonfire in the garden which got slightly out of hand. The next thing they knew was a fireman peering over the wall. My mum climbed the wall to explain that everything was under control. He checked that there was nothing more he could do, and Muvva explained – “well you can get your ladders, I’m stuck on this wall”. There were more types of apple trees, plum trees, pear trees than I could ever name or remember. There were lilacs of every colour. Each main wall had remnants of fruit cages, metal frames and brackets to ensure early and late crops growing on the South-facing and North-facing walls. There was a vinery and melon pit. The ornamental pond was a land mark on German World War II maps to indicate the flying route from Dover up to London. There were acres of daffodils in the spring and a clematis in every corner. It was a truely shared space. Ducks from the park used to make nests to hatch their ducklings. There were rabbits, foxes and badgers. A green woodpecker spent the best part of a day creating a hole in one of the apple trees. He pecked for hours and hours. Misses Pecker came to inspect the next day, and to no avail. The hole was clearly no good. They never returned. We looked at what he had created and it was the smoothest and most perfect hole in the tree that you could imagine. It was a wonderful house – well, quite small bungalow really. 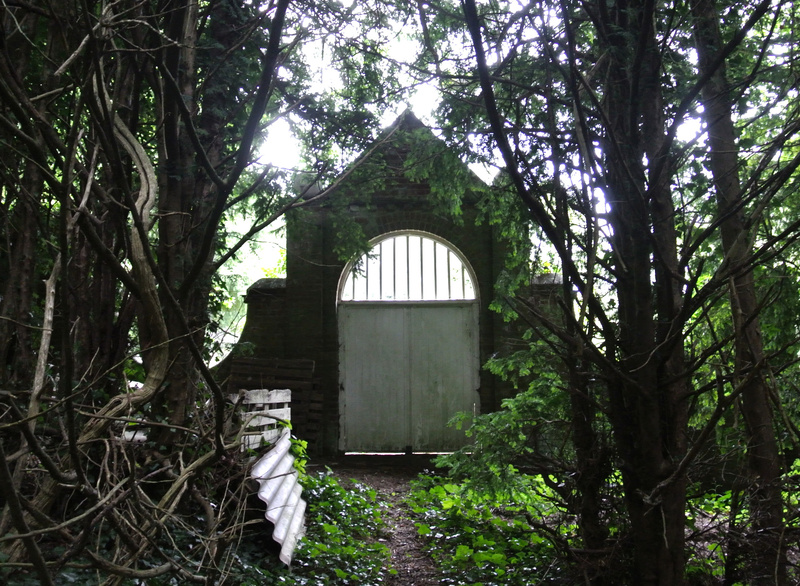 It originally was the gardener’s ‘bothy’. It looked along the Alkham Valley and you couldn’t see another single roof. How lucky was I spending some of my time there. My parents stretched themselves financially, and the snooty local estate agent frowned when they turned up to view it in a battered old Morris Minor. The intention was that my Nan could live with us – but sadly she never made it. I used to so regret not being able to walk her round the garden to savour the different plants, and being blind, it would have been the most amazing sensory garden for her. She never made it away from the horrors and fumes of the A13 in Essex where she lived for most of her life. Walls can be wonderful if you can peep over them or walk through them. Humans turn them into barriers. You need the walls to protect and cultivate the things within. Openness in education needs to be nurturing, hopeful and touchable. But ultimately what is the point if people can’t freely come in and you choose not to share beyond the walls? Resnick LB (1972). Open Education: Some Tasks for Technology.” Educational Technology 12(1), 70-76. Katz L G (1972). Research on Open Education: Problems and Issues. 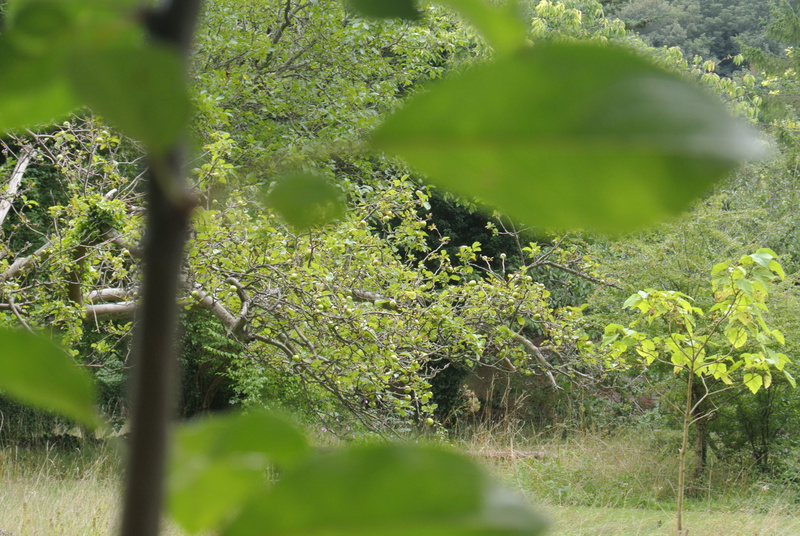 Photographs taken in 2015 as part of Muvva’s 80th Birthday ramble.